A natural, multi-purpose product to combat dryness in both hair and skin. 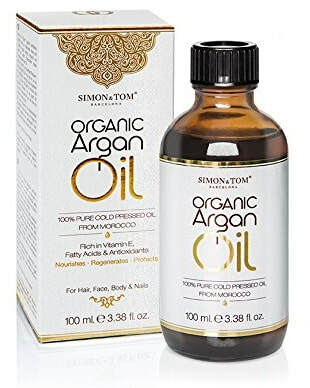 I started using Argan oil three years ago and have come across many variations of it. This one is a pure, cold-pressed oil, very light in texture, with no colour or discernible scent. Its very liquid appearance is deceptive, though, and I found that only a very small amount is needed for my hair. I would use more for a “hair mask” to be washed away, but for use on damp hair after a shower, go lighter than you think. Argan oil is good for skin and nails as well. You can massage a little into your cuticles before going to sleep to make nails less brittle. I also use it regularly as a face treatment, again at night, to restore hydration and soften my skin, more than my usual night cream does. This product is not tested on animals, and it does not contain any of the synthetic ingredients that make skin care dangerous. Because it has no scent, it's suitable for fragile skin. At least it's very well accepted by my older skin which is now prone to allergies. An excellent alternative to baby oil, which is often not the pure product it should be. The dark glass bottle preserves its freshness. The quantity of 100 ml will last several weeks, depending on use. I find the price very competitive, and good value for money. As far as Argan oil goes, this is one of the best. Moroccan Argan Oil seems to be the ingredient of choice for hair products but it comes in as many types as there are brands selling it. This nourishing serum is specifically formulated for curly, frizzy hair, but it is also great for coloured hair like mine. The consistency is of a heavy oil but it is well absorbed and very little is needed for each application. I really like what it does for my hair, I love the immediate shine it gives, and the softness that comes a few minutes later. It is also good as a “hair mask” to be washed away after an hour or so. That sort of intensive treatment is very useful to undo the damage of daily swims and a lot of sun, so I'll be using it even more in the summer. My husband has curly hair and this product works very well for him, too. The dark bottle ensures the freshness of the natural ingredients, and I love that it's not tested on animals. 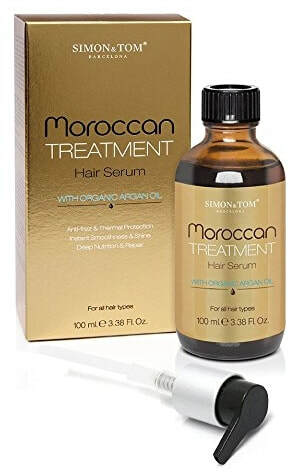 Moroccan Argan Oil seems to be the ingredient of choice for hair products but it comes in as many types as there are brands selling it. This Moroccan Treatment is a heavy dude with the amazing ability to sink into my hair without making it heavy. 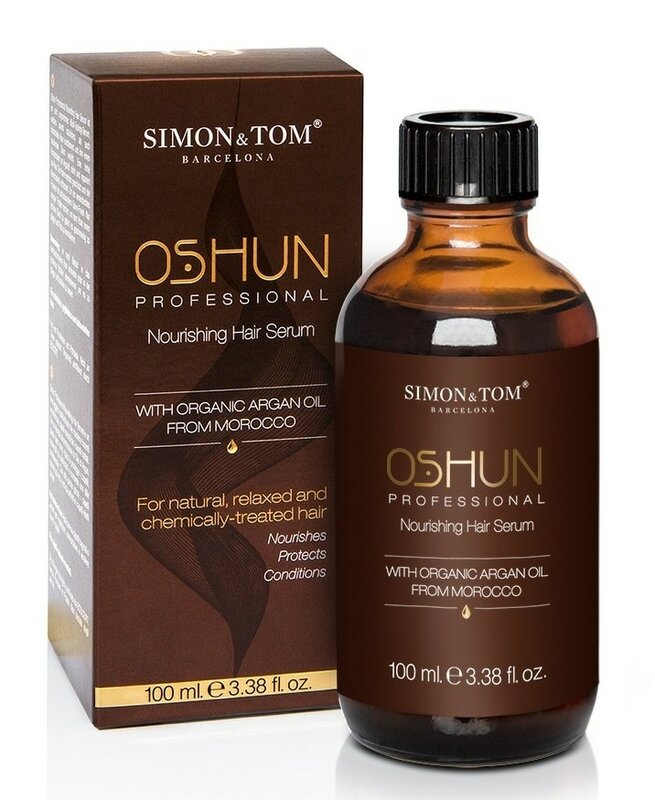 Since I was contacted to evaluate this product for review purposes, both my husband and I have given this hair serum a thorough testing, using it exclusively for the past month. I really like what it does for my hair, I love the immediate shine it gives, and the softness that comes a few minutes later. Naturally, if I put on a lot, my hair looks greasy and becomes heavy, but I only do that when I use it as a “hair mask” to be washed away after an hour or so. Actually that sort of intensive treatment is becoming less necessary. After a couple of masks to undo the damage of a summer of daily swims and a lot of sun, now I tend to just add three pumps to my mid-length hair, either dry or damp after a shampoo. It has really made a huge difference to my coloured hair (bleached by the sun), but it seems to work equally well for my husband. The scent is lovely but not overly feminine, so men can use it, too. One of the best hair treatments I've tried so far.